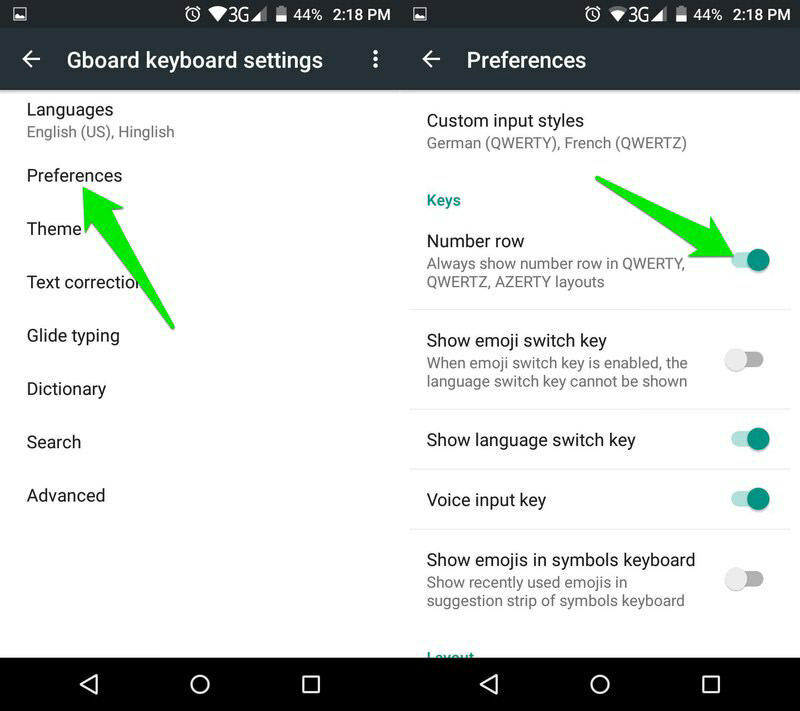 Day to Day Google updating their own keyboard for Android, in the past the google keyboard name is Google Keyboard but now google changes its name and style and performance. Google Keyboard is now GBoard and it’s awesome. It is now packed with the full of useful features. they are Swype (Glide) typing, Search Engine, Themes and emoji’s . 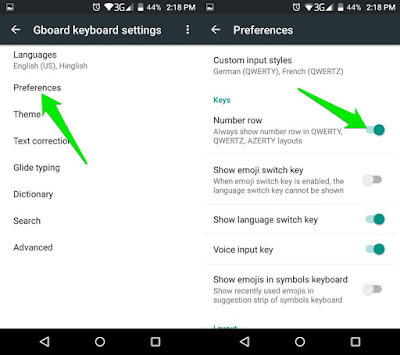 It’s the best Built in keyboard in the Android Devices. It is too difficult to type the large data by the tap the letter on the keyboard and it’s too too difficult when you only have one hand free. - But with Gboard, you can swipe to type easily. If you have perfectly used glide typing called swipe in the past. You simply glide your finger over the keys you to type word which you need, and Gboard will identify the wanted word and insert it. It is much faster than tapping type with the single tapping, and you will have surprised with the accuracy of the words. Gboard, you can simply move the cursor back and forth with the swipe of the space bar, which means you get a useful trackpad that will help to you to move the cursor between text. Simple swipe on the space bar. This is the awesome feature and great feature of the Gboard i.e., if you booked a Movie Ticket at a theater, but your friends do not know the address of it. So Usually, you would open your browser, search for the Theater, find the address, then copy and paste it into a text and send it to your friends. 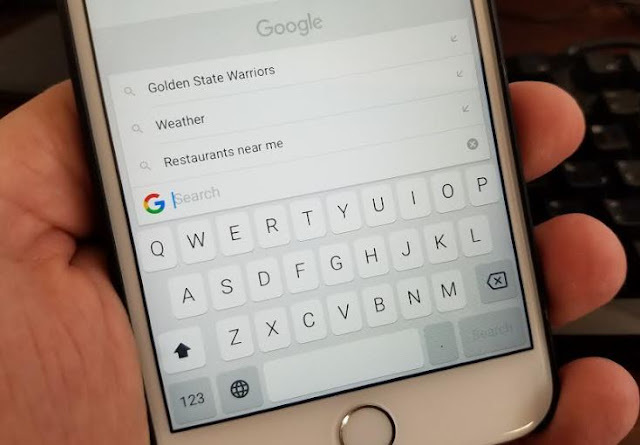 But it’s very very easy with Gboard, Google Search is built in — During the conversation, simply tap the Google icon button, then type in your search, tap a result, and the information is automatically pasted into your message. And send it. 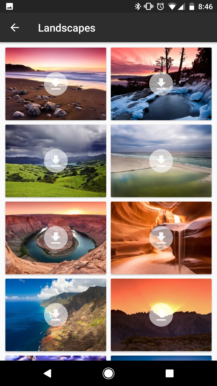 You can also search for GIFs and YouTube videos to share your friends. In the middle of conversation there’s an emoji that is perfect for the moment of Your conversation. but it is time waste to select that emoji from the hundreds of emoji’s, that’s way With Gboard, you can just search for it. And send it. Simply Tap the emoji button, then the search emoji which is you need like type things like “happy,” “pig,” “crazy” and “flag” to see all relevant emoji characters in an instant. If you have a friend that speaks another language. But you don’t know that language, then what ? do not worry its very simple to translate your language to another language in the real time by using of Gboard. Tap the Google icon and tap on the Translate icon (showed in the below image). Want to type when you have one hand free available to type? You can put Gboard into one-handed mode. Tap and Hold the Enter Key then its show the one handed keyboard simple just drag on that that’s is its done . you got one handed keyboard to type with the one hand. There is another option is the to move the keyboard left or right to use both hands with the single hand free. 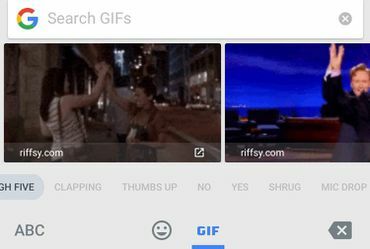 You can search and share the GIF’s directly from the Gboard. through the emoji section, tap and hold the Enter key and slide your thumb to the Emoji icon. There will be a GIF option at the bottom on the screen. Tap it and use the search bar to find the perfect GIF. And share or send it to your friends. Swipe left from the (x) delete key (tap and swipe) and all the words will start highlighting. Select those words which want to delete. Once the words are highlighted, raise your thumb from the screen and they will be deleted. Gboard supporting to change the background color or images as your wish. To change your keyboard background image just go to settings >> language and input >> Gboard >> Theme choose whatever you want and set opacity and save it. the number row is useful to access the numbers every time without selecting special characters or number row. Here enables the option “Number Row” and you will see a number row at the top of the keyboard everywhere and any time .